I love the texture of nuts, but obviously they are not too good when you are trying to lose weight, and I object to spending my syns on them, when I can have the same texture and a great taste syn free using buckwheat. Spray a small frying pan with Fry Light, and when hot, toast the buckwheat until nicely browned. Add the sweetener and a few drops of water and stir until it is all absorbed. Spread out on greaseproof paper to cool off while you prepare the rest. 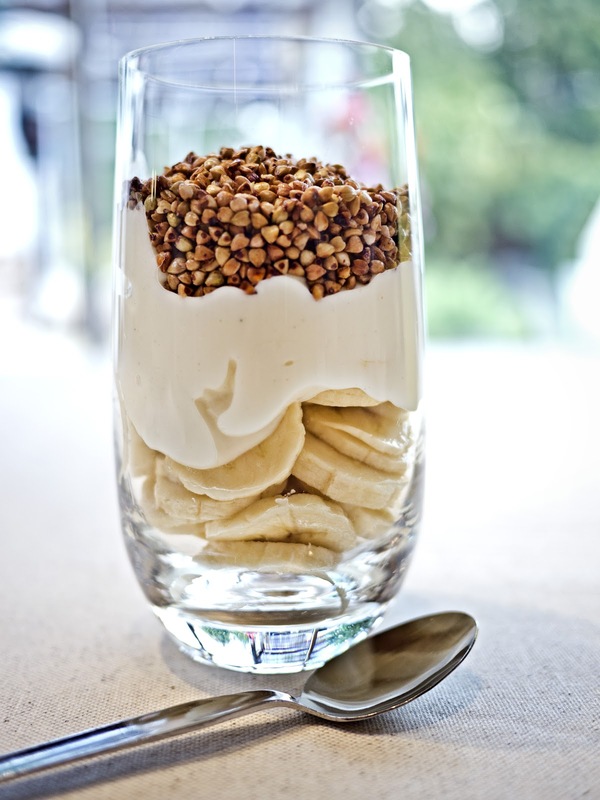 Thinly slice the banana and put in the bottom of two tall glasses. Top with the yogurt and finally the toasted buckwheat.